Cannington Cottages are two newly converted barns with reverse accommodation so that the kitchen, dining and living areas on the first floor to take advantage of the wealth of exposed beams. There is a newly fitted pine kitchen, bathroom with Mira shower and full central heating. 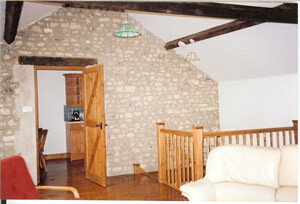 The three bedrooms are all furnished in pine with natural wood doors and wardrobes. There are two double bedrooms and a twin bedroom in each cottage. 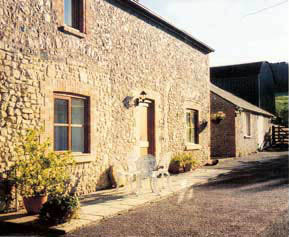 Both cottages have been furnished to a high standard. The nearest shop, post office, pub, hotel and restaurant are situated within half a mile, in Uplyme village itself. Lyme Regis town is only 1.5 miles away and provides interesting and varied shopping. Lyme also boasts a wealth of history, literary associations, geology, fossil collecting and safe bathing. There is a wealth of restaurants including specialist fish restaurants, and real ale pubs which often offer live music. There are many summer festival, concerts and carnivals in the area. Weymouth, Taunton, Exeter and Dorchester are all within a 25 mile radius. The nearest railway station is the market town of Axminster, which is only 4 miles from Lyme Regis.